Japan was recently hit by a Tropical Typhoon Storm Etau, it brought floods and washes away several houses. some people stranded from their house and successfully rescued by the rescuer. Despite the tragedy that happen there, there are still lighter news where several social media users are amazed on several photo where it shows a flooded subway in Japan in the city of Hamamatsu. 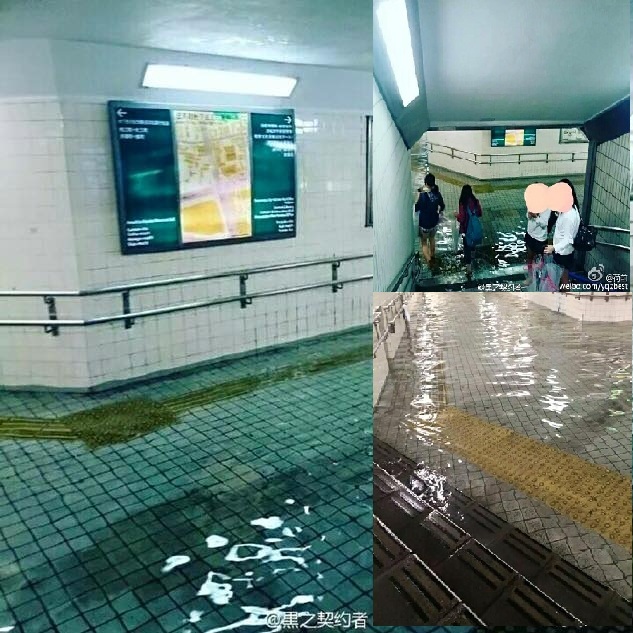 Even though the subway was flooded, Netizens cannot stop them self to applaud the clearliness of the flood water that flooded the subway. The images of flooded subway quickly went viral in social media, especially in Chinese social media, where they compare the floods that they are experiencing in their country China against Japans Flood. Social media users even compared the water in the flooded subway to a swimming pool due to its clarity or cleanliness based on the images taken. Japan is known for technologies and high tech equipment and aside from that the discipline that they followed in their country, they strictly follow segregation of trash that can be recycle. In order to prevent pollution and such major calamity. In my home country Philippines, we always experiencing floods, mostly in major city like Manila. Due to undisciplined people throwing their garbage in the river and improper Segregation of garbage that caused immediate floods. Everywhere you can see trash floating in the water with dark or brown color. Due to this trash it block the water ways like drainage where water should go through, and that’s why we are amazed of the images that seen in flooded subway in Japan. its still a flood though the clearliness is so nice to see and you cannot even see trash in the flooded subway. Hopefully the Philippines, will have the solution to reduce the flooded areas that caused by trash and hopefully the citizen will have the discipline to follow the rules of throwing trash in proper place. No Comment to " Netizen's Amazed On The Clearliness Of Flooded Water That Seen On One Of Japan Subway "